Capt. Sanford Cohen counts down the end of his deployment in Kuwait by the number of Shabbats, rather than days. The Aleph Institute sends religious materials throughout the year—Torah scrolls, menorahs, hamantashen, military camouflage siddurim (prayer books) and other Jewish books. 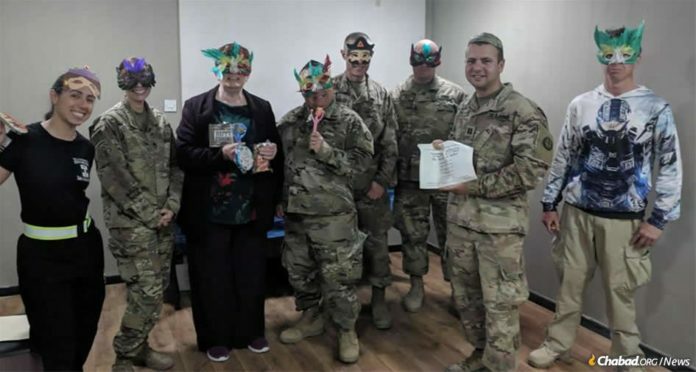 For Passover, they send whatever is needed to complete a seder meal, such as Haggadahs, seder plates, charoset and shmurah matzah, benefiting approximately 1,000 soldiers on about 60 bases worldwide. Capt. 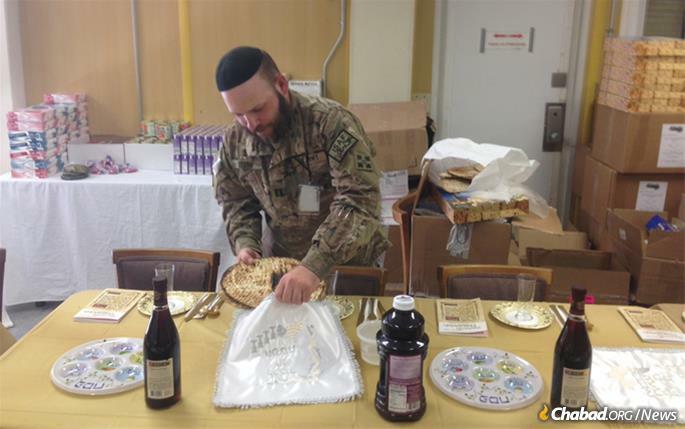 Mendy Stern, chaplain for the 312th Military Intelligence Battalion, sets up for a Passover seder. Even though there are about 5,000 Jewish-affiliating soldiers in the military, Katz estimates, there are only 12 active-duty Jewish chaplains in the Army, and less than 50 in the entire military. Where there isn’t a rabbi, lay leaders like Cohen fill the role as best they can. But both Stern and Cohen agree: It may be more complicated than a holiday at home, but it’s a shlichus that is well worth it.